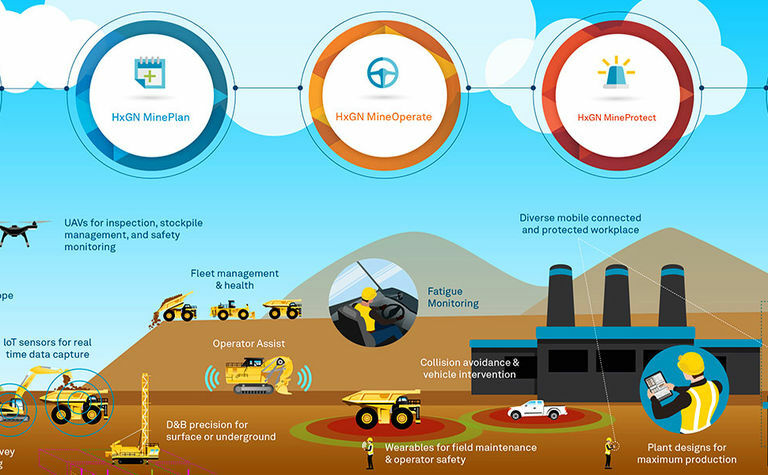 Hexagon is helping mining companies adopt a unified digital strategy to improve their business decision making. Leading this drive to digital transformation for customers is the division's new chief technology officer (CTO), Rob Daw. End-to-end life-of-mine integration is at the heart of this transformation, explains Rob, who was cofounder of MiPlan, acquired by Hexagon in 2017. He brings more than 15 years' experience in both open pit and underground operations. RD: My background is in the primary industry. I grew up on a farm in remote Western Australia. I started out in the surveying world, slowly progressed into engineering consulting, and then dived into the technology world, trying to enable mining operations with different and unique technology. I was a cofounder of MiPlan Consulting, which focused on enabling data for mining operations. We developed that technology which is now at work within Hexagon. It's really been an epic journey and something I've really enjoyed as much as the mining industry itself, but also the technology journey. RD: We are delivering world-class technologies to the mining industry. We want to continue to focus on our customers and how we can deliver more value through our products, as well as assisting with the services of those products. So, it's really about looking at ourselves and making sure that we practice what we preach; delivering to our people internally; and improving in our day-to-day jobs. Q: You travel a lot, visiting mines, talking to miners. What are the most common challenges you're hearing about from them? RD: Increasing productivity, improving safety, and reducing costs, are as relevant today as they have been over the last five years, or 10 years, even. I think the big challenge that I'm starting to identify, as a lot of these new technologies are adopted and the industry looks at autonomous and other areas, is the social change coming into the mines; social licensing, if you want to call it that; how we adapt our workforce; how we bring our workforce along with us on the technology journey - that is definitely something that will be a challenge for a lot of the industry and something that I think we need to really have a strong focus on. Q: Give us a snapshot of Hexagon's Mining portfolio. RD: So, everything from our MinePlan product portfolio, where we touch on exploration from drillhole analysis, and storage into design, scheduling, planning, and then to the production world for drill and blast. We then have the technology to then push that into the operations world. So, we have our capabilities through fleet management, asset health, and then our safety portfolio where we have collision avoidance, personal alert, so vehicle-to-vehicle and vehicle-to-person protection, as well as then intervening, so vehicle intervention. And then we have a really exciting area we're starting to work on as well with our autonomous portfolio, where we are looking at assistive technologies. So, we're really working with our clients on the journey and the roadmap to autonomy, so we can facilitate that change-management process in those mines. All these technologies generate a substantial amount of data. So, we also have the enterprise platform, which enables us to pull all this information together and drive value through understanding the interactions between these different technologies and giving unparalleled insights into each of those portfolios, but also a holistic view as well. Q: What are the long-term challenges you're keeping an eye on with regards to research and development? 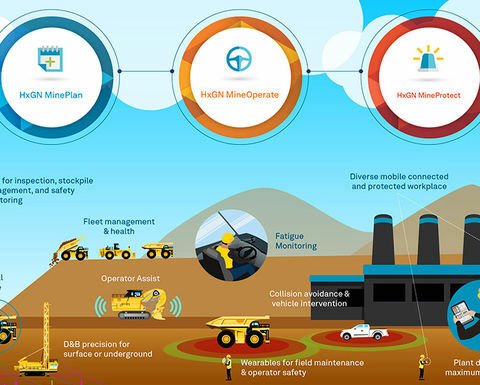 RD: The hot topic in the mining industry really is around autonomous, but for me there's also a whole other world of autonomous in terms of technology with processes and some of the office-type technologies that we can automate as well. So, I'm really keen to look at how those two worlds - the office and the field - can merge in that autonomous role.